Cut each strawberry in half, lengthwise, so that you have two equal pieces. On the middle of the top part of each strawberry half, cut out a small triangle of strawberry, so that your strawberry half resembles a heart shape. 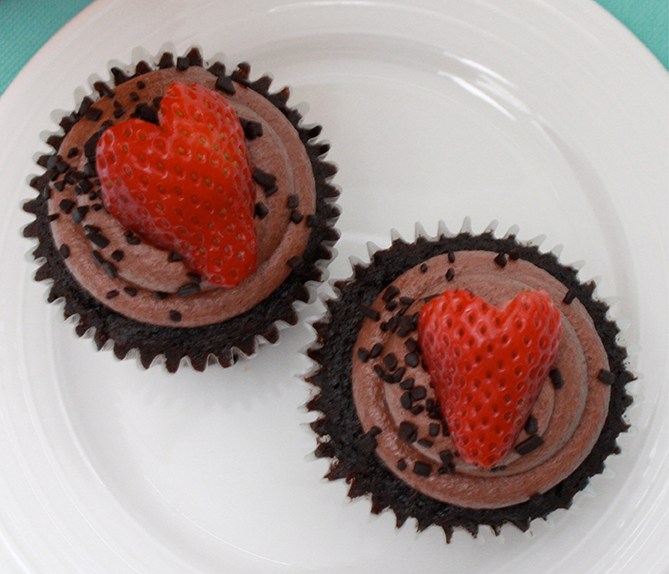 Place one strawberry half on top of each cupcake. You may want to have a few extra strawberries on hand in case you are not quite satisfied with a few of your strawberry hearts.